Crested Butte, Colorado, is a skier's sanctuary with a classic cowboy small-town feel. But ski towns are a dime a dozen in the Centennial State, and Crested Butte is not simply a ski town. It's an Adventure Town. 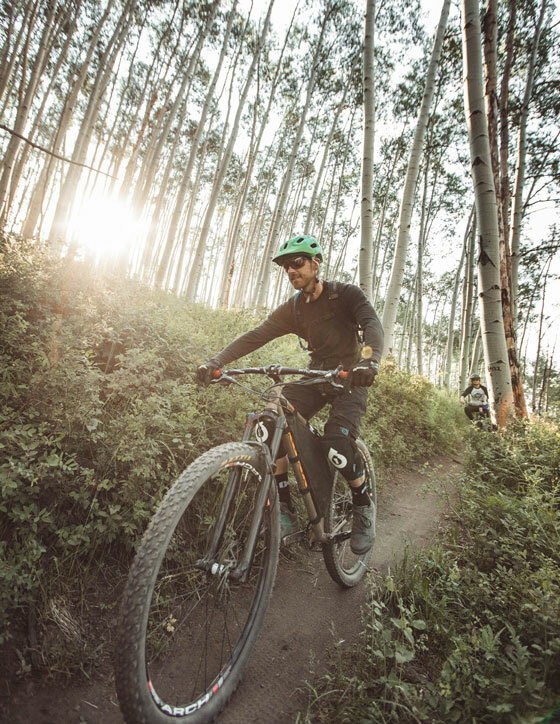 This birthplace of mountain biking is home to the type of people who take solace in every square inch of the high-altitude paradise. 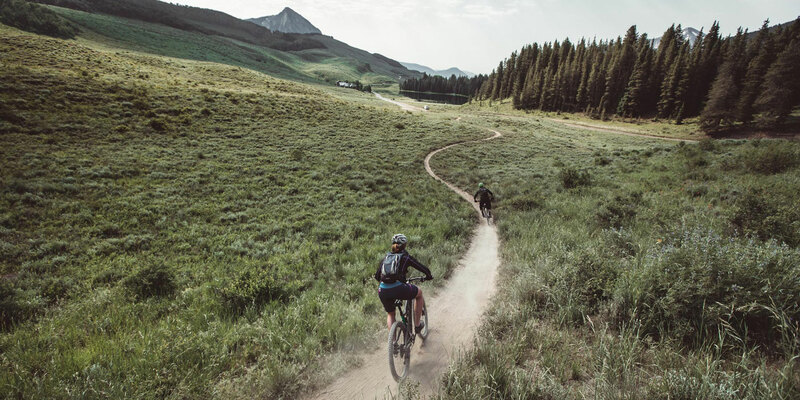 Head to Crested Butte at height of summer with nary a ski pole in sight, and you can easily pack a 12-hour itinerary with biking, climbing, downhill racing, hiking, swimming, and stand up paddle boarding. This Adventure Town experience starts in thin air at 8,885 feet with a lung-pumping pedal up the switchbacks and saddles of the Lupine Trail. The trail is named after the gorgeous columns of purple lupine flowers that grow in abundance along the way, a lovely visual distraction while you and your mountain bike acclimate to the low levels of oxygen. Zig and zag down the trail at the right moment and you might meet a couple of friends from the Crested Butte Conservation Corps hard at work maintaining the trail. Dave Ochs and Matt Steinward (aka Steiny) are veterans, cracking jokes and loving every minute of their job. 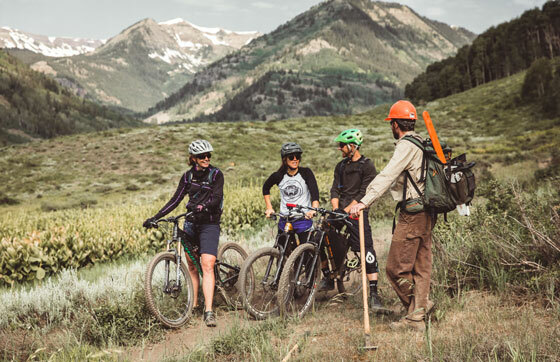 It's obvious from their contagious passion for the trails, trees, and forest roads that the pathways to adventure in and around Crested Butte are in good hands. Dave might even tell you the story about how nearly 200 people from the community came out in 2012 to build this very trail in less than seven hours. Seems like the local kids had the most fun, building berms and hits for their mountain bikes all along the way. Stretch out and chalk up so you're ready to grip and smear around the porous rocks. You'll be in good hands—Sebastian is a local athlete who's been representing the Crested Butte area by climbing the competitive ladder nationwide. After your climb, head back into town for a lunch break. The town of Crested Butte is truly what makes this place special. Historic mining cabins, old Victorian structures, and local mom and pop shops with classic wild west storefronts are sprinkled along Elk Road, the main downtown drag. The town is also a pedestrian utopia, with nearly everyone opting to walk or bike instead of drive their way around. 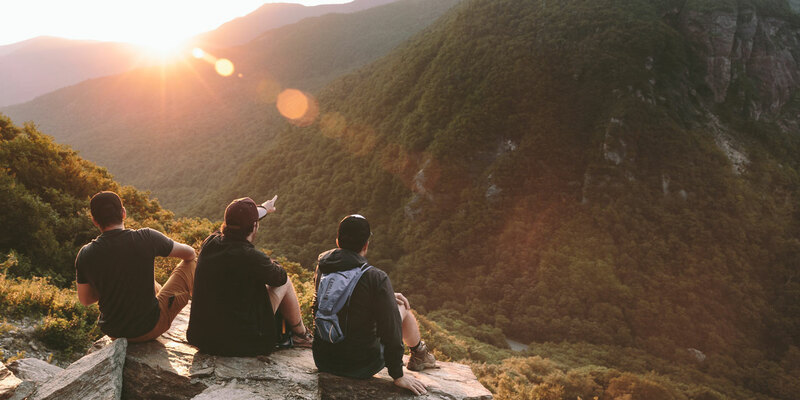 Stop in at Teocalli Tamale to crush some tacos and hot sauce, then cool down with a hike along Slate River, and perhaps even an icy (but refreshing!) swim under a sacred waterfall. But don't get too comfortable chilling in the river, because the biggest, baddest, and raddest adventure is straight ahead: downhill mountain biking at Crested Butte Adventure Park, an endorphin-filled Neverland with empty lift lines, no uphill climbs, just dirt, dust, and steep stomach-flipping trails. Jason Lakey will gladly show anyone how to rip down and around berms, turn techniques, and pop wheelies off the black diamond kickers. The lift brings you up close to Crested Butte's vertical peaks and straight shoots around the mountain’s stunning summit, making it a no-brainer to book a return ticket for the winter fun. Wrap up your day quietly chasing the sunset downriver surrounded by 360-degree jaw-dropping mountain views. Daniel Siegfried, owner of Eternal Roots SUP, is always ready with a truck full of boards, paddles, lifejackets, dry suits, and booties. He’ll personally drop you off and pick you up, in between his mountain bike adventures. 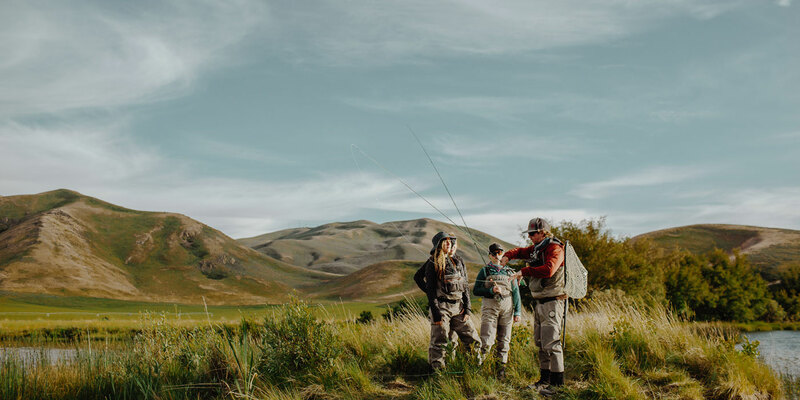 Peaceful and relaxing, a float down the river is an effortless glide as you duck bridges and engage in a few staring contests with the cows, accompanied by a few jumping fish and playful beavers. You'll emerge on the other side sunburnt, spent, and completely stoked. Mission accomplished in Adventure Town #2. Camp 4 Coffee - Fun Fact The license plates that cover the building were installed by its previous owner, an elderly woman who figured license plate siding would be cheaper than buying new paneling. Tip: The breakfast burritos are divine. 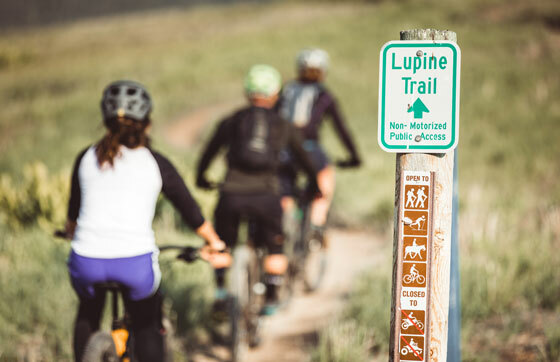 Lupine Trail - Fun fact: The Lupine Trail was created in just 7 hours by the local Crested Butte community. Tip: June is lupine season, when you can ride the trail through a sea of stunning purple flowers. Skyland - Fun Fact: Skyland has 10 boulders available to climb, so there are multiple levels of bouldering available. Tip: Bring bouldering pads if you venture out to these areas, some of the climbs are higher than you think! Teocalli Tamale - Tip: Everyone underestimates the tamale platter and goes for the tacos, but the tamales are not to be missed. Fun Fact: If it's a powder day, Teocalli Tamale closes during lunch shift, hanging a "Closed For Powder Day" sign in the window with the date and how many inches were received. If it's a big winter, like the Winter of '07, that sign gets framed and hung up forever so locals can always remember the epic pow-pow. Teocalli is a true locals spot that, year after year, receives the locals' choice award for Best Bang For Your Buck. Crested Butte Mountain Resort Adventure Park - Tip: It’s $8 after 4:30PM, a steal! Open until 7:00PM, all ages welcome. Fun Fact: Also referred to as CBMR, this park has very diverse types of downhill trails ranging from flow trails like the “Awakening Trail” to very raw trails such as “Captain Jack's”. In the winter, it has some of the most extreme terrain in North America. Slate River - Fun fact: The Slate appears black because of the slate rock that covers the bottom of this shallow river. Tip: Contact Daniel Siegfried at Eternal Roots SUP for all the tips you need.